True of False: A licensed contractor can perform work not listed on their license as long as the work is less than $500. True or False: If the trade work being performed by an individual is not expressly described in another classification, the C-61/D-64 – Non-Specialized Limited Specialty classification is the correct license. True or False: A C-22 Asbestos Abatement contractor may remove asbestos from any part of a structure without holding any other classification. The applicant indicates on their application that they have a license in one of the reciprocal states. The classification being applied for is on the Reciprocal Classification List, the contractor is in good standing in the reciprocal state for the previous five years, and he/she submits a Request for Verification of License completed by their current licensing entity. The contractor need only submit the Request for Verification of License completed by their current licensing entity. 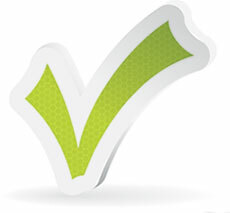 True or False: The business name style must be compatible with both classification and entity type of the license held. 1: False – They must work within their classification no matter what the amount – the $500 exemption does not apply 2: C. 3: False – The work may fit within another classification even if it's not expressly stated. 4: True. 5: B 6: True.